The smile is intended to last a lifetime, but sometimes, circumstances beyond one’s control can negatively impact the smile and result in a variety of concerns. Patients who have experienced damage to a natural tooth or have developed dental decay may require restorative solutions. This may include the placement of dental crowns for those in the Wrentham, MA area. Dental crowns are restorations made of ceramic. They are custom fabricated for patients to match the existing teeth. This ensures seamless integration and keeps the restorations from standing out as an obvious dental repair. These restorations are also known as caps, as they cover the tooth on all sides. The crown is bonded in place and patients can enjoy the extra layer of protection available to them. Patients who are considering these restorations may ask about the cost of dental crowns. Cost varies, especially for patients who have dental insurance. Many dental insurance policies will cover dental crowns in part or in whole depending on whether the procedure is considered elective. Patients who require a dental crown may have a smaller out-of-pocket cost than a patient who is choosing to have a dental crown placed for an elective treatment. 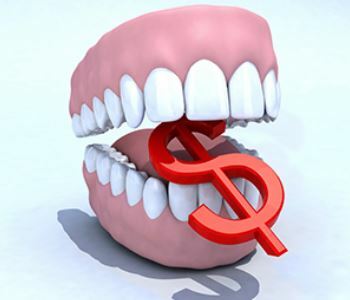 Patients who do not have dental insurance and are responsible for the full cost of their restorations can speak to the front office team at Advanced Dental Practices to develop an appropriate payment plan to ensure the treatment is attainable even on a tight budget. Our practice wants to ensure patients have access to the treatments they need regardless of their financial situation and will make it possible for patients to obtain the services they desire. A simple phone call to Advanced Dental Practices at (508) 456-7111 is a step in the right direction when it comes to repairing the smile and ensuring its longevity. Dr. Ross Palioca and his team of professionals work closely with patients in Wrentham to ensure access to the treatments necessary to enhance the smile quickly and effectively. Contact them today to make an appointment and discuss the advantages of dental crowns and other restorative services.